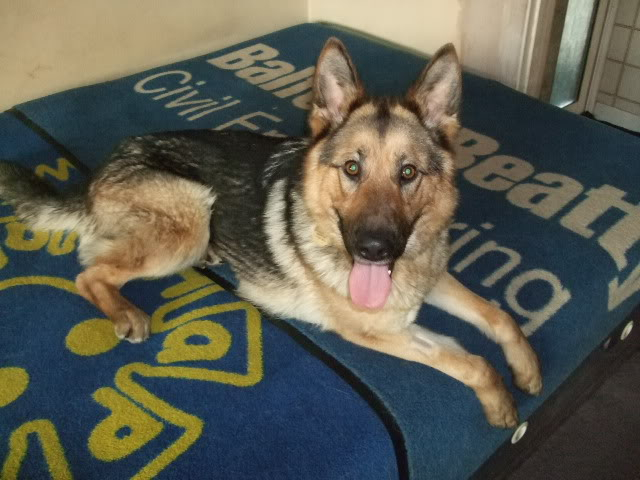 Rhona is a smashing young dog, only 18months old, she is very friendly & very exuberant. There has been little input into her training in her life so far, but she is very eager to learn. She was found straying in the middle of rush hour traffic, despite searching for an owner, none was located, so we have no background information on her. Rhona has met various dogs at the kennels for playtime, some have found her high energy a bit too much! 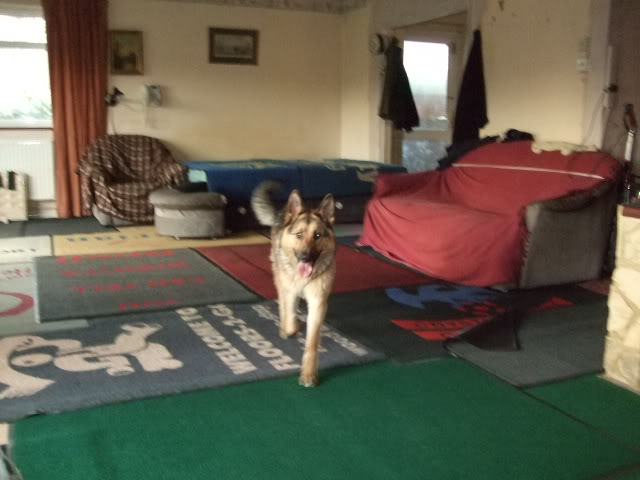 She is always ready for play, but can be very giddy in her approach to other dogs. Doggy school with Rhona would definitely be a good idea!! 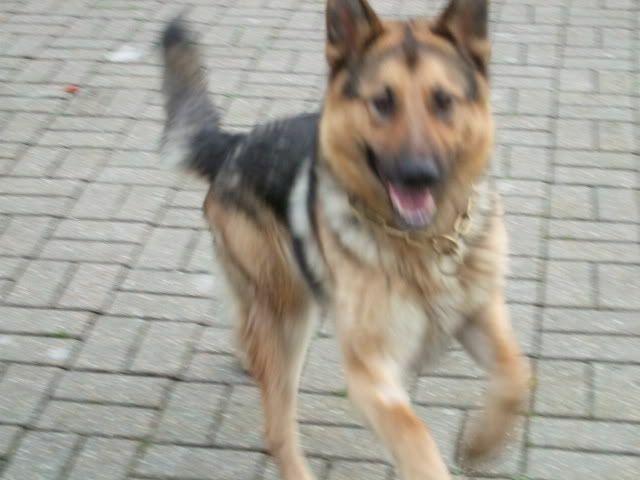 She will need an active, experienced, GSD home & she would be far too active for a home where there are children under 12. 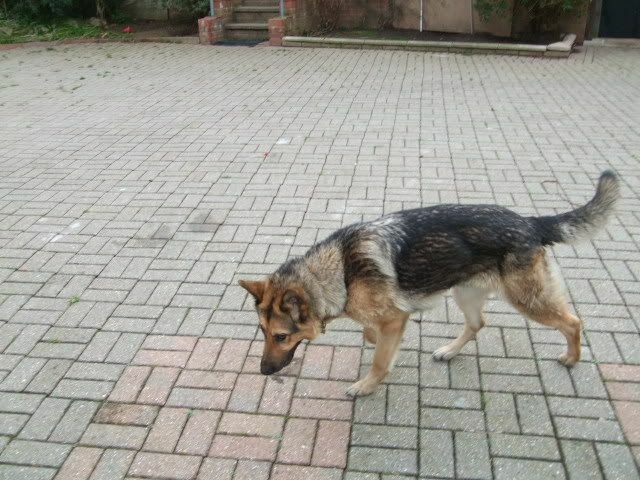 A home where she will have daily walks and someone there daytime as she will need guidance would be important. She loves company. * Her recall is not proven. * Pulls on the lead, but a Halti type, or head collar will help. * No idea how she is around cats. * Travels well in the car. * She is a high energy dog. 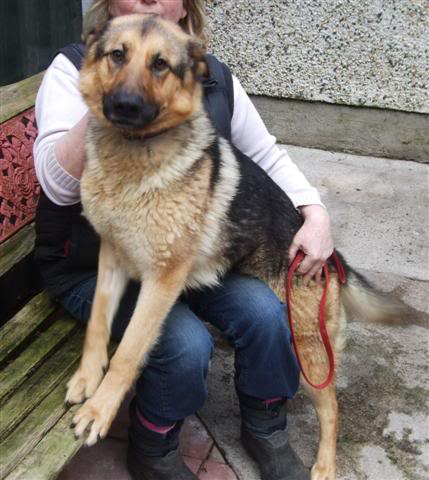 Rhona is now neutered/ microchipped/ fully vaccinated / treated for fleas & mites/ & wormed. All she needs now is a loving & caring home. She is a very pretty medium sized dog. Always happy to greet everyone!! 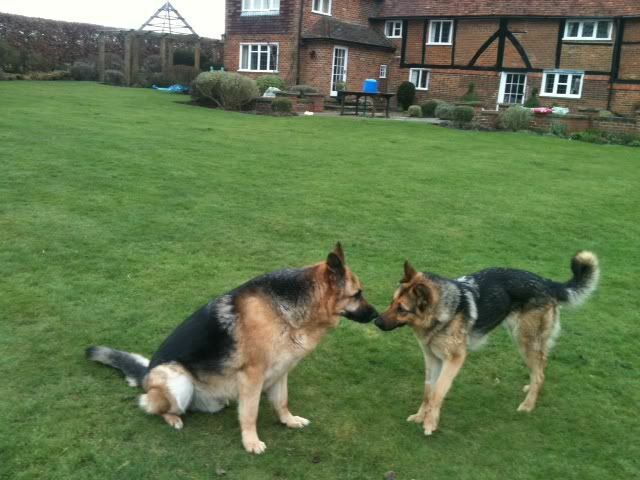 Rhona will be coming over from Ireland and into foster with John in Chertsey Surrey on Thursday March 8th. 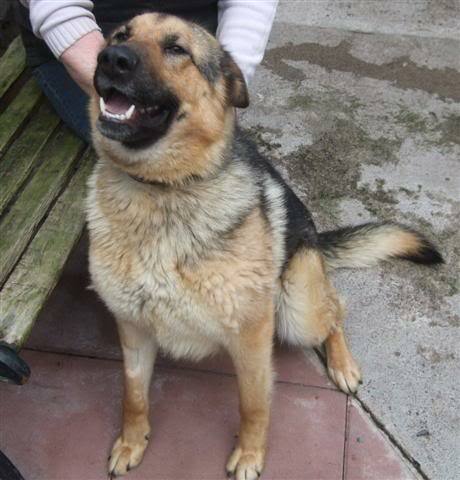 For more info or to offer Rhona that special forever home please ring John 01932 571268. Rhona has landed,When meeting Donal this morning she jumped out of his van into my arms and since hasnt stopped wagging her tail and wanting to play,But now after food,drink and toilet duties she is now having a after dinner nap. Rhona has found her new home and acquired a new boyfriend. 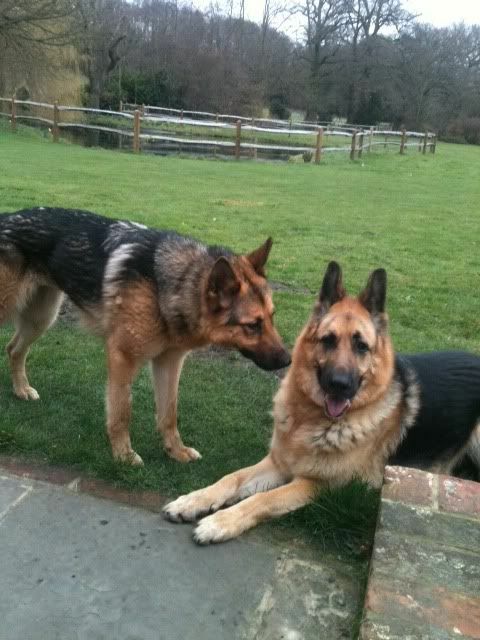 And here they are the happy couple at home on the range with 2 secure gardens and 14 acres of Surrey to walk and play in AND a stay at home mum.